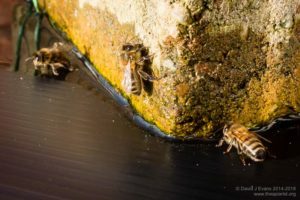 Freezing here overnight but the sun warmed the hives sufficiently that a few foragers emerged to collect water. They appeared particularly attracted to the pool of melted ice around this brick holding down a Correx roof. 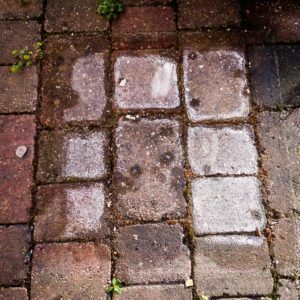 Presumably the black colour helped warm the water and there were some minerals leaching out of the brick. This entry was posted in Beekeeping, Photography, Seasonal and tagged forage, Photography, roof, winter on January 18, 2015 by David. Our local association honey show is always held in mid/late October. At the beginning of the season it feels like a lifetime away. With a long, hot summer being anticipated, the short October nights and the preparation required is just about the last thing on my mind. By the second honey harvest it’s a lot closer but there’s still no urgency … and then, suddenly, it’s four days away. How did that happen? Our honey show has friendly rivalry, good natured competition and – usually – sympathetic (verging on the generous with my entries) judging. The good exhibits are often very good but care is taken not to discourage those with less-than-perfect entries. All the usuall classes are represented – light, medium and dark honey, soft set and set honeys, frames ready for extraction, wax, mead, ‘products of the hive’ gifts and photography. One of the most keenly contested classes is the honey cake which uses the relatively simple recipe used – I think – at the National Honey Show. 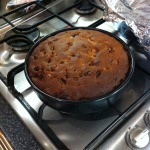 200g/7oz self-raising flour, 175g/6oz honey, 110g/4oz butter, 175g/6oz sultanas, 2 medium eggs, 110g/4oz. glace cherries (halved). Preheat oven to 180°C/350°F /gas mark 4. Cream butter and honey together. Beat eggs well and add them alternately with sifted flour then fold in sultanas and cherries. A little milk may be added if necessary. Bake in a buttered circular tin, 16.5 -19.0 cm (61⁄2-71⁄2 inches) in diameter for approximately 11⁄2 hours. Timing is for conventional ovens and is a guide only as appliances vary. A few years ago I’d competed and won the beginners class (always generously judged) and been placed second in the ‘cottager class’ for those with 5 hives or less (I think this page will generate some disappointment if it turns up on a Google search for certain words in the text). Despite a clashing appointment on the night of the show that meant I missed all the judging I prepared entries for the light and medium honey classes – using the same batch of honey as I had no grading glasses so ‘hedged my bets’ – the soft set, the honey judged on flavour alone (the jars are covered with a tight-fitting sleeve, though the judging isn’t conducted blindfold so a few stray wings or legs in the scummy surface layers might still be offputting), the photography, the ‘products of the hive’ gift and the honey cake. Let’s deal with the failures first … I clearly misjudged what was needed for the ‘products of the hive’ class. I entered a jar of delicious lemon honey marmalade. 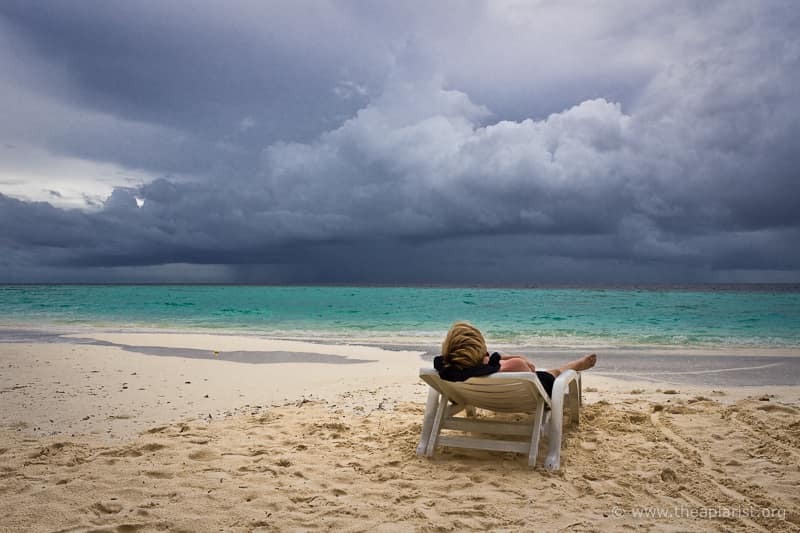 In my view this is better than honey on toast in the mornings. However, almost every other entry was a stunning wax sculpture or a beautifully presented candle. Nil points as they say. Don’t let this put you off honey marmalade though … it’s fantastic and I’ve never had anyone turn it down as a most welcome gift. The honey cake was a disaster. I cooked three in advance to get the cooking conditions right. The first one was badly burnt and essentially inedible. The recipe above is spectacularly wrong with regard to timings. The second was much better, although still a bit overcooked (shown right). My team at work wolfed it down. The third was better still but by now I’d realised that the diameter of my cake tin was 0.5″ smaller than specified (judges can be both pedants and generous in equal measure). The flavour and texture were very good and it was again scoffed with thanks by work colleagues. The day before the honey show I found a tin of the correct diameter and used it to prepare the – I hoped (Ha!) – winning entry. Big mistake. The cake rose better … but then sank like the Titanic to create a near-doughnut shaped entry. The judge didn’t trouble himself with the tasting. Wisely … it was undercooked. On a brighter note one of the photography entries got a ‘Very Highly Commended’ though I’m not sure which of the two prints I entered was favoured. I suspect it was “Waspkeeping” (right). In addition, I managed two third places; one for honey judged on flavour alone and one for light honey. I’m particularly pleased with the former as this is the primary reason most people like honey … because it tastes good. Finally, my soft set honey achieved a second place which was also very satisfying. Making soft set honey (or creamed honey as it is sometimes called) is a bit of a palaver but it keeps well. If you can avoid frosting – something I’ll discuss again sometime – it’s well worth the effort and very popular. Then, with a bit of luck and a generous judge, you can prefix the text on your honey advertising with the important words “Prizewinning local” honey and be prepared to be inundated with orders. This entry was posted in Beekeeping, Honey, Seasonal and tagged creamed, honey, honey cake, honey show, Photography, prize, soft set on November 12, 2014 by David. This is a beautiful coffee-table (and nearly coffee-table sized) book by Eric Tourneret and Sylla de Saint-Pierre with accounts of beekeeping and honey gathering (the title translated) from around the world – Russia, Nepal, New Zealand, USA, Mexico, Argentina, Cameroon, France and Romania. The text is in French. 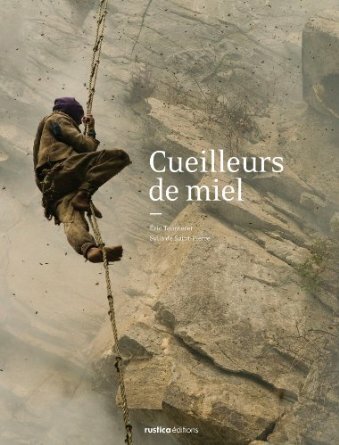 The images are stunning, both photographically and in the way they capture the individual – and very distinctive – cultures of honey gatherers from different countries. 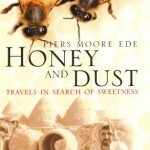 Definitely ‘honey gatherers’ and not beekeepers, as many collect honey from wild colonies. Wild, and in some cases, livid. Those in the west will easily recognise beekeeping practices in the USA (“Nomads of pollination“), shifting thousands of hives to the almonds, David Hackenberg, forklifts, industrial scale operations. We’re also familiar with the rooftop beekeeping in great cities like Paris, with hive designs we recognise, though perhaps less familiar with the architecturally breathtaking backdrops to their day-to-day colony inspections. Other countries will be even less familiar. Mexico, with small black stingless bees (Trigona scaptotrigona) or Romania, with bright painted ‘bee sheds’ on the back of flatbed trucks and lorries, being moved around to the nectar. Some of the most impressive images are from Nepal* where they harvest honey from open colonies of Apis laboriosa hanging from cliffs. These are far from stingless. 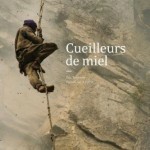 You can get a preview of some of the images from Eric Tourneret’s website, including those from Nepal. 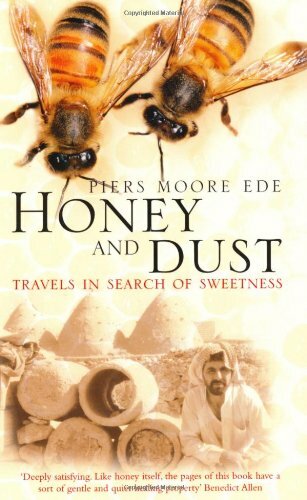 *Anyone interested in reading more about the Nepalese honey gatherers is recommended to also read Honey and dust: Travels in Search of Sweetness by Piers Moore Ede, which has a very good account of the risks taken to secure the honey. 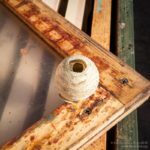 This entry was posted in Beekeeping, Honey, Photography, Review and tagged books, honey, Photography on May 2, 2014 by David. 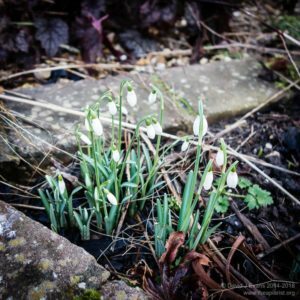 The last Sunday in April is ‘World Pinhole Photography Day‘ … a great opportunity to turn a high-end DSLR – with the help of a thin sliver of aluminium, a needle and some gaffer tape – into a very simple camera. With almost infinite depth of field and very, very, soft focus these produce very distinctive images. This entry was posted in Beekeeping, Photography and tagged OSR, Photography, pinhole on April 27, 2014 by David.